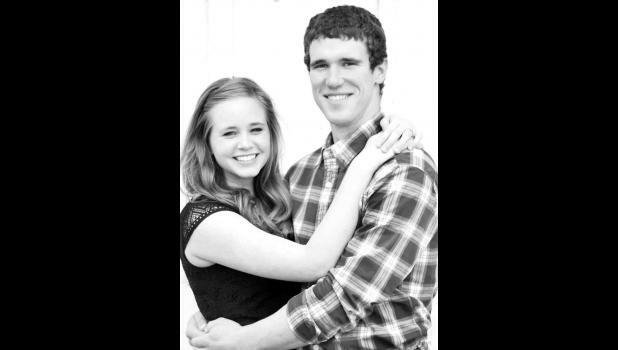 Kevin and Ellie Haverkamp of Wetmore, along with Richard and Joni Meyer of Sabetha, are pleased to announce the engagement and approaching marriage of their children, Corinne Noelle Haverkamp and Cameron Joseph Meyer. The future bride is the granddaughter of Orville and Shirley Hutfles of Holton and Linus and Anita Haverkamp of Wetmore. The future groom is the grandson of Marvin and Jane Leman of Princeville, Ill., and the late Eli Jr. and Lois Meyer. Corinne is a 2015 graduate of Wetmore High School and is currently employed by Edelman’s Home Center in Sabetha. Cameron is a 2013 Sabetha High School graduate and is currently employed by Morrill Elevator and engaged in farming. The couple will be married on Saturday, Aug. 6, 2016, at St. James Catholic Church in Wetmore, with a reception, dinner and dance to follow at the hall.